Your phone's either dead or barely hanging on with a few minutes of life left, and you only have a small window of time to charge it before you need to head out. Sure, you can charge it for the few minutes you have, but what's the point if your device is going to die again in several minutes? Well, I'm here to give you a few tips on how to charge your Android device much faster than you're used to. 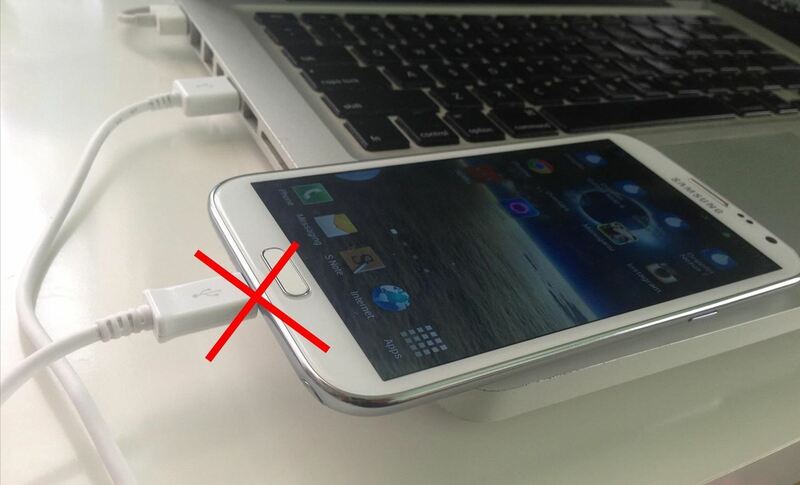 In my case, it's a Samsung Galaxy Note 2, but these tips should work for most Android devices. Obviously, you're going to have a quicker charge if there's less things running on your device. So, the key is too kill all the battery hogs while you're recharging. 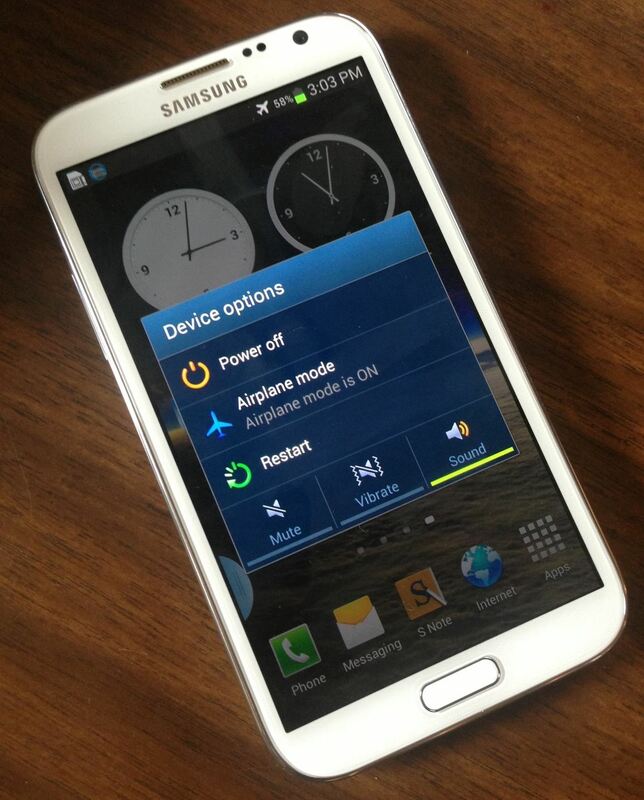 To charge your phone faster, simply turn on Airplane Mode, which can be found on your Samsung Galaxy Note 2 by dragging down the Notifications bar at the top; just hit Airplane Mode and press OK when prompted. Since your device would not be connected to the internet and using all of those battery-heavy features to waste power, your phone will now charge faster than ever before. Just be aware that phone calls and text messages will not work while Airplane Mode is on, so if you're expecting something important, you'll have to charge your device the traditional way. If you have the option between a laptop and a wall charger, always choose the wall charger. Charging your device via your laptop will be significantly slower than if you charged it from a proper AC power outlet. Your computer's USB port does not deliver the same amount of power as the wall charger plugged directly into the wall can. One reason for this is that your computer's USB port does not deliver a constant amount of power. The amount of power it generates out to your device all depends on several variables, such as the software and hardware on the computer, the amount of USB ports being used, and using your computer while simultaneously charging the device. The other reason that you should charge your device via the wall charger is because these adapters are specifically designed to charge your device at its maximum level. The wall plugs all charge faster than the USB specification of 500mA at 5V (which are the specs for my MacBook; it differs in all computers). 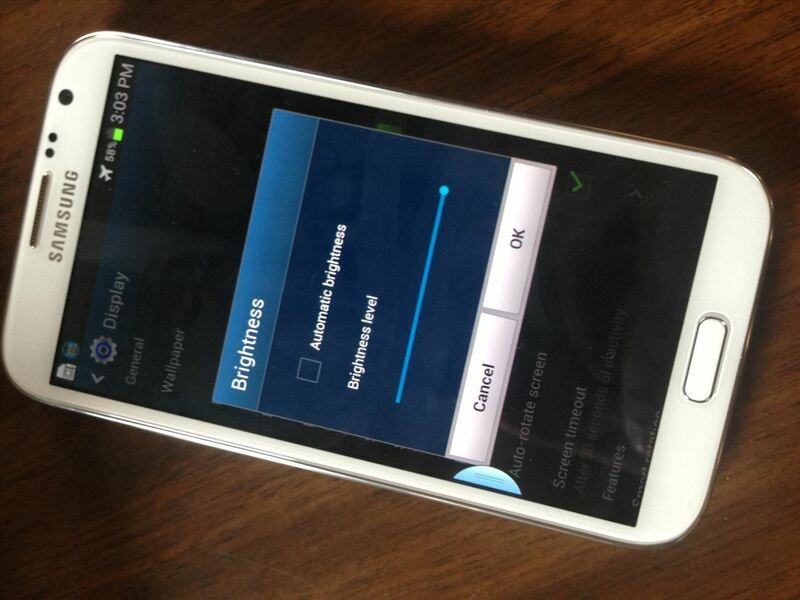 If Airplane Mode isn't enough for you, you can try lowering the screen brightness on your Galaxy Note 2. Its gorgeous display can become a double-edged sword, with the self-harm being endured when it comes to battery life. Lowering the screen brightness not only charges your phone quicker, but will help keep your phone alive longer, thus taking you out of situations where you need to charge your device quickly! Better yet, you can turn off your phone and charge it. That way, your device won't use any battery while being charged, thus maximizing the potential for battery charge to its highest potential! What tips do you have for charging your smartphone faster? Tell us below! How much did it run you in cost? The length has minimal impact on the charge rate it's the size of the wire you are using. 28/28 is probably the best you can buy. As a rough rule of thumb, the more amps your charger can feed, the faster it'll charge your phone. Laptop USB plugs usually only output half an amp. Desktops computers and powered USB hubs will typically feed 1 amp (sometimes 2), where as the charger that comes with the Note feeds 2 amps (4x more than your laptop). 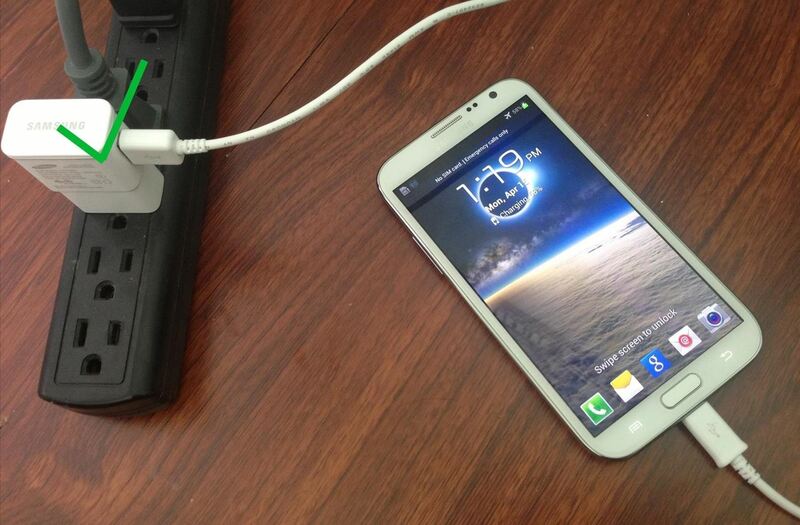 In the case of the Note 2, there is always the option to purchase a second battery with an external battery charger. Saves a lot of hassle if you really need the extra juice. I'm having trouble getting my battery to charge like it charged before I flashed it. Any suggestions? You may also try plugging the charging jack directly into a wall socket skipping any surge protectors. I bought a Note 2 before one week ago, and from first day I am getting the charging problem. Actually it is going to take 7 to 10 hours for charging 100% . and today I am facing another new problem ...It is showing 85% charge at all, There is no improvement, but still charging, and has been gone 8 hours. Please any suggestion for me ? Could anyone tell me ! basically, how much time does "Note 2" need for charging full ? me too.. 24 to 30 hrs for charging 100%..
mee too finding the same problem. 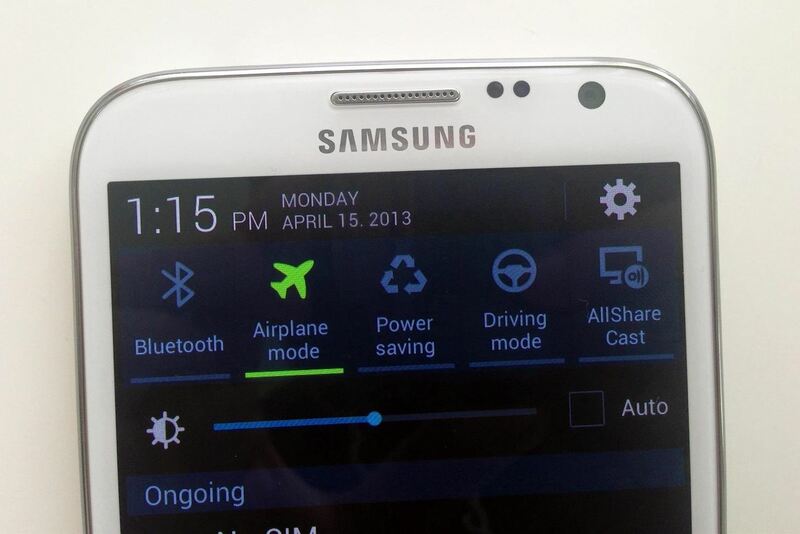 Note 2mobile charging takes 5-6 hours. restarting not helped me. Even formtting also not helped. I agree with Daniel Orozco, a shorter USB wire makes charging a lot faster. want to charge your note 2 very fast?, here's the trick replace your usb cable to nokia cable and it will do trick, nokia has 5pins while samsung has 4pins..
you're a genius....it works perfectly as said. when i use my Nokia N8 charger to charge my Galaxy S3 it takes like and hour which is pretty cool. The original Samsung charger that came with the phone takes 5-6 hours...sometimes even the whole night.